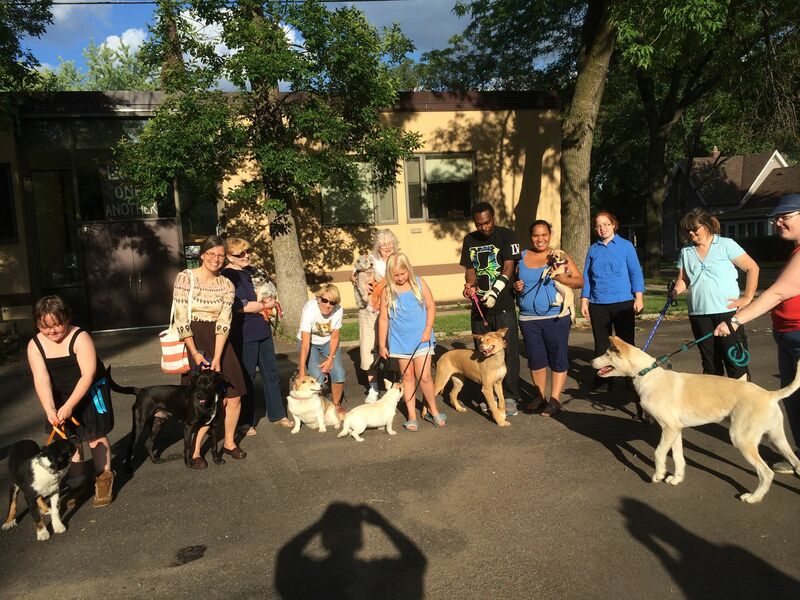 “Paws for Prayer”: in the spring and summer, we invite folks to bring their dogs and walk in the neighborhood to greet and meet one another. 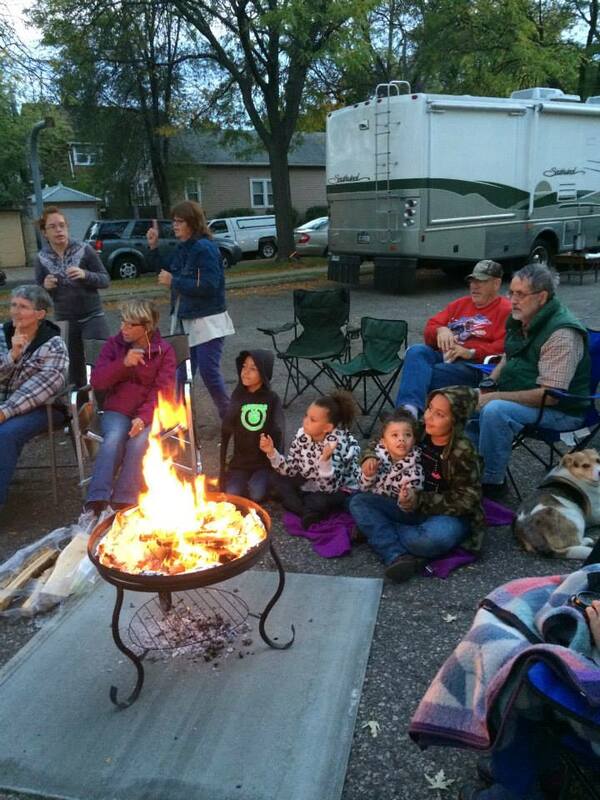 Outdoor Worship: Picnic Church is held in June while Campfire Worship is held in the fall. 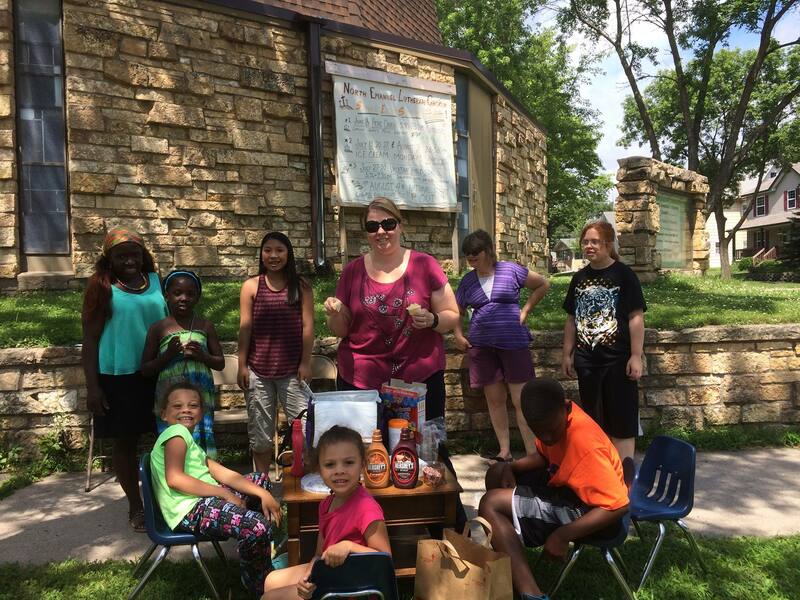 We have worship, cookouts, music and loads of fun! Trunk ‘n Treat: the children of the neighborhood are invited to the church parking lot each Halloween for “trick ‘n treating” from the car trunks of cars. “Love in a Glove Box”: we package personal care items that might be useful for people living on the streets 3-4 times/year, then distribute the packages to members who then give them away as they go about their daily lives and see people in need. 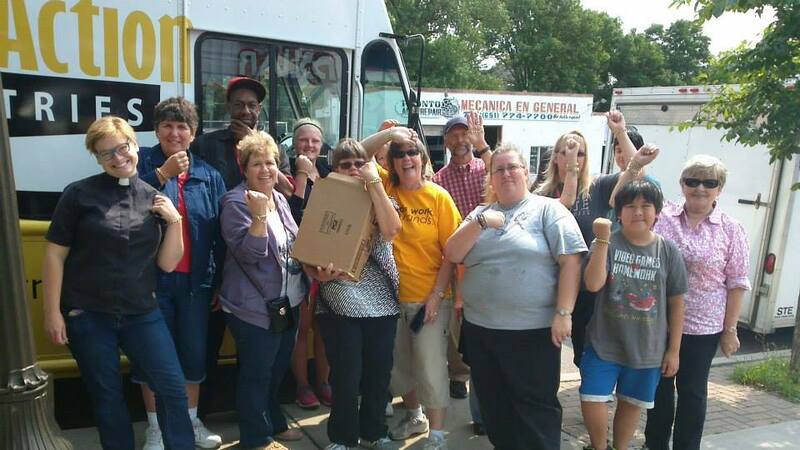 Fourth Thursday Sandwich Distribution: Every fourth Thursday of the month we make turkey/cheese sandwiches to deliver to Shobi’s Table on Payne Avenue, Saint Paul. We distribute them to the folks who come for lunch and worship at Shobi’s Table.